It all starts with a night in the royal city of Gondar, a place of impressive castles and churches that’s cloaked in mystery and intrigue. 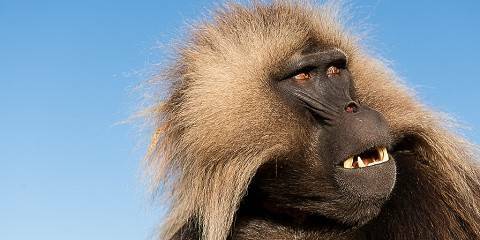 Then, it’s off to the Simien Mountains and as you snake through the impressive highlands you’ll catch your first glimpse of the endangered gelada baboons, giant bearded eagles and elusive walia ibex. 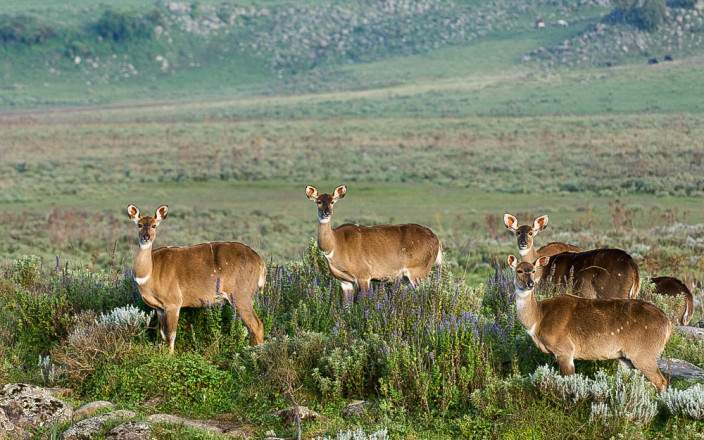 After a night in Addis, you continue on to the Bale Mountains National Park in search of the charismatic Ethiopian wolf, Menelik's bushbuck and giant mole rats. This mid-range tour uses lodges and hotels. Solo travelers can book this private tour. The minimum for this tour is 12 years. This tour is offered by Timbuktu, not SafariBookings. This tour is subject to the terms & conditions of Timbuktu. Timbuktu were always helpful and knowledgable, and delivered what they promised. Lucy is travel writer for a range of publications, including Lonely Planet's guides to Africa, Southern Africa and South Africa. Alan is a travel writer and author of over 20 Lonely Planet guidebooks, including the guides to Southern Africa and Zambia & Malawi. James is a travel writer and author of many Lonely Planet guides, including senior author of the guide to South Africa, Lesotho and Swaziland.